What is Research and Evidence-based Practice? This page explains what evidence-based practice is. Evidence-based practice (EBP) focuses on using current evidence derived from clinical research studies and analysis, in combination with a practitioner's ownexperience and judgement. 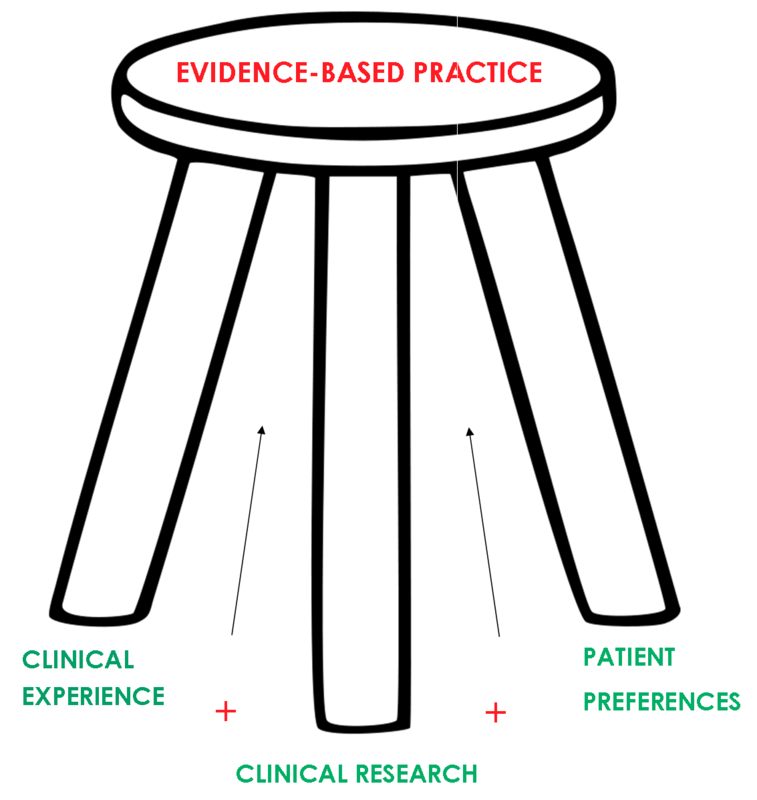 It's a three-part approach called the three-legged stool of EBP. The three legs are clinical research, clinical experience, and the patient's preferences. Clinical research can usually be found in peer-reviewed sources, such as peer-reviewed journal databases. Read more about EBP in a peer-reviewed article from Credo Reference.. Painless Evidence-Based Medicine by Antonio L. Dans (Editor), et al.